Safe-by-design (SBD) frameworks for the development of emerging technologies have become an ever more popular means by which scholars argue that transformative emerging technologies can safely incorporate human values. One such popular SBD methodology is called value sensitive design (VSD). A central tenet of this design methodology is to investigate stakeholder values and design those values into technologies during early stage research and development. To accomplish this, the VSD framework mandates that designers consult the philosophical and ethical literature to best determine how to weigh moral trade-offs. However, the VSD framework also concedes the universalism of moral values, particularly the values of freedom, autonomy, equality trust and privacy justice. 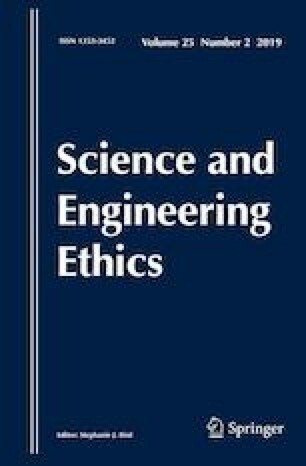 This paper argues that the VSD methodology, particularly applied to nano-bio-info-cogno technologies, has an insufficient grounding for the determination of moral values. As such, an exploration of the value-investigations of VSD are deconstructed to illustrate both its strengths and weaknesses. This paper also provides possible modalities for the strengthening of the VSD methodology, particularly through the application of moral imagination and how moral imagination exceeds the boundaries of moral intuitions in the development of novel technologies. This paper has been adapted from a dissertation accepted and published by the University of Edinburgh. I would like to thank the two anonymous reviews that provided both encouraging and constructive comments on this manuscript. Any remaining errors are the author’s alone. The view expressed in this paper do not necessarily reflect those of the Institute for Ethics and Emerging Technologies. Borning, A., & Muller, M. (2012). Next steps for value sensitive design. In Proceedings of the 2012 ACM annual conference on human factors in computing systems—CHI’12 (p. 1125). https://doi.org/10.1145/2207676.2208560. Davis, J., & Nathan, L. P. (2015). Handbook of ethics, values, and technological design: Sources, theory, values and application domains. In J. van den Hoven, P. E. Vermaas & I. van de Poel (Eds. ), Handbook of ethics, values, and technological design: Sources, theory, values and application domains (pp. 12–40). Dordrecht: Springer. https://doi.org/10.1007/978-94-007-6970-0. Friedman, B. (1997). Human values and the design of computer technology. In B. Friedman (Ed.) CSLI Publications. https://web.stanford.edu/group/cslipublications/cslipublications/site/1575860805.shtml#. Le Dantec, C. A., Poole, E. S., & Wyche, S. P. (2009). Values as lived experience: Evolving value sensitive design in support of value discovery. In Proceedings of the SIGCHI conference on human factors in computing systems. CHI’09 (pp. 1141–1150). New York, NY, USA: ACM. https://doi.org/10.1145/1518701.1518875. Meillassoux, Q. (2009). In R. Brassier (Ed. ), After finitude: An essay on the necessity of contingency. Bloomsbury Publishing. https://www.bloomsbury.com/uk/after-finitude-9781441173836. Turner, M. (2010). Conceptual integration. In D. Geeraerts & H. Cuyckens (Eds. ), The Oxford Handbook of cognitive linguistics. Oxford Handbooks Online. https://doi.org/10.1093/oxfordhb/9780199738632.013.0015.